Detailed tide predictions for 2012 won't be available until 2011. When predictions are available, I'll post a summary here. Meantime, for planning purposes, new Moon high tides between Cairns and Port Douglas occur mid-morning around 9-10am low tides around 3am. The tide height will be 2.5-3.0 m. You will be setting up at low tide and packing up at high tide so look for the high tide mark and stay well above it. While the high part of the beach might provide a perfectly adequate view to the east for totality, the view of the lunar shadow approaching from the west may be compromised because the margin of many beaches are lined by tall trees. Observers will find that on many of the beaches near the centreline, they'll have tallish trees at their backs. This will partly obscure the view of the west sky & the approaching shadow, always a striking feature of morning eclipses. 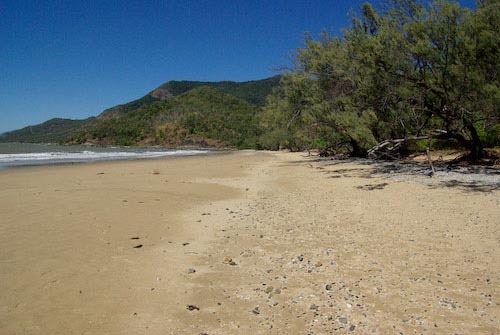 We did not have time to survey all the beaches north of Cairns during our evaluation. Local tourism people have told me that some of the beaches just north of Cairns (Clifton, Kewarra, Trinity Beaches) stay above water at high tide. Even though these beaches seem to be a long way from the centre line, the duration isochrons run almost parallel to the coast so there is almost no loss of eclipse duration at these beaches compared to the centre line. These beachs are only 1-2s shoirter than being right on the centre line. 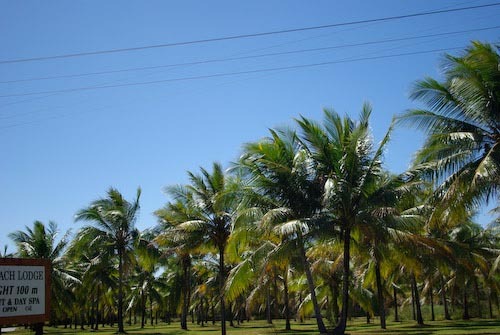 Sugarcane is the predominant crop in the area. The fields are burned before harvest. The cane is however burned & harvested 4-6 months before the eclipse so this should not interfere with sky conditions. A sunrise start to the eclipse means some observers will be setting up telescopes before dawn. Make sure you have extra strong insect repellent with you. Cases of Dengue fever have appeared over the past few years and at present it is a bit of a problem. Authorities may have the problem under control by 2012. During the day, SPF30 sunburn cream is a must. UV exposure in Australia frequently hits the extreme range during summer months. Crocodiles and snakes are present in the Cairns area. When selecting an observing site, stay out of grass more than 10cm high to avoid snakes. The Taipan is very poisonous and very aggressive. All snakes in Australia dribble venom down grooves in the back of their fangs, they don't inject. The toxicity of the bite is therefore rendered ineffective through fabric. The fabric soaks up the venom. Wear long pants, thick socks and sturdy shoes. Snakes will usually only attack if they feel threatened. If you don't see a snake until it is very close don't move. It will probably pass straight by you. Crocodile attack is a very remote but real possibility near any water. Set up well away from water. Most crocodile attacks occur when people are in or very close to the waters edge. In summer months, the box jellyfish is present in the water. The box jellyfish has long fibrous tentacles. These can impart thousands of stings causing severe pain and paralysis of the cardiopulmonary system. Ask local advice about box jellyfish. They are seasonal and some beaches may have screened safe areas for swimming. Experienced observers wanting to take in the full gamut of eclipse phenomena, need a site that provides good views to the east and west. 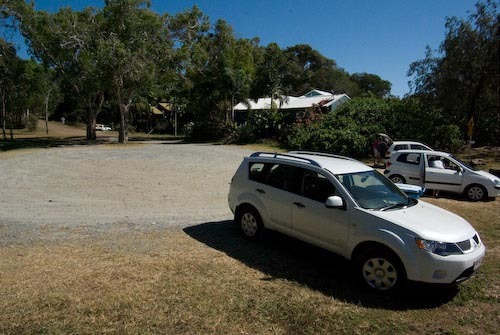 In our opinion, this rules out the section of coast road between Palm Cove and Pebbly Beach. It is cut into the side of a steep hill. While you'll have good views to the east this strip has high horizons to the west in many places. Because the eclipse path runs southeast at a small angle to the coastline, they don't diverge rapidly. 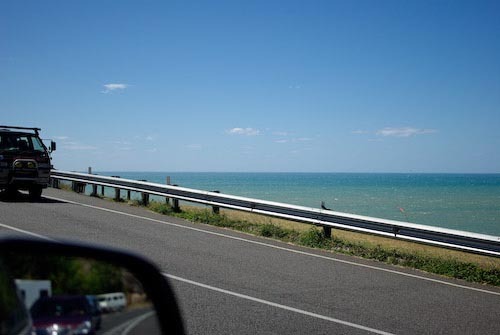 Therefore, observe anywhere from the northern outskirts of Cairns to Port Douglas and you'll end up being close enough to the centreline within a 140 plus km wide path. 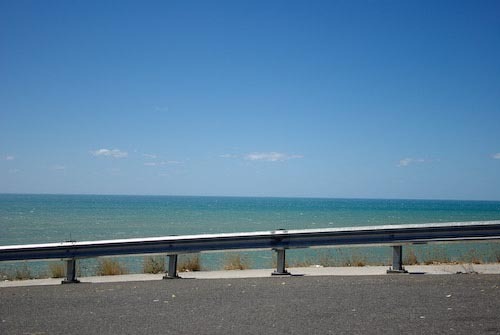 On the section from Palm Cove to Pebbly Beach, most of the road is a narrow no-stopping zone. There are only a few places where you can stop, park a car and have a view to the ocean. 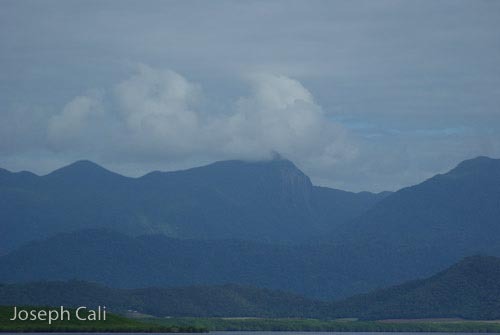 One very obvious spot is Rex Lookout on the Captain Cook Highway. 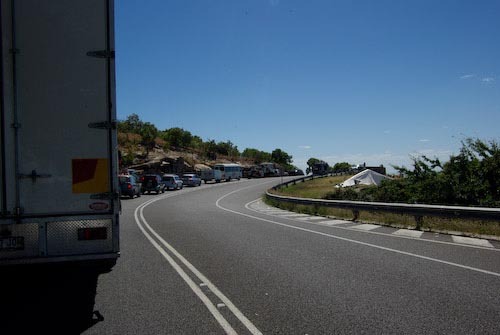 People stopping at the lookout have the potential to cause traffic problems so the authorities have decided to close the lookout during the eclipse. 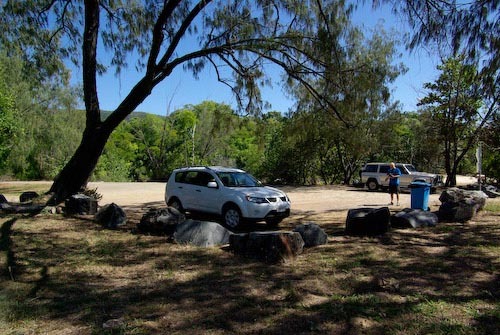 The Cairns Post carried an article in early October saying that the lookout would be closed. Fields near the skyrail station and mountaintops capped with cloud. 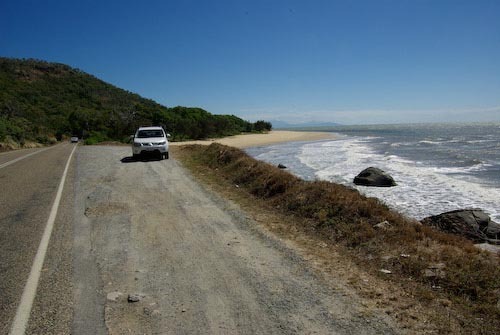 One of the few road verges wide enough to park between Pebbly beach and Palm Cove. The centreline crosses the coast at Oak beach. [point 3 on map] There are some beach houses for rent available at Oak beach that back directly onto the beach. On the pictures from our visit in August 2007, there appears to be plenty of space on the beach but careful inspection of the photo's reveal a high tide mark well up the beach. The highway at this point turns inland and smaller service roads take you to Oak Beach. 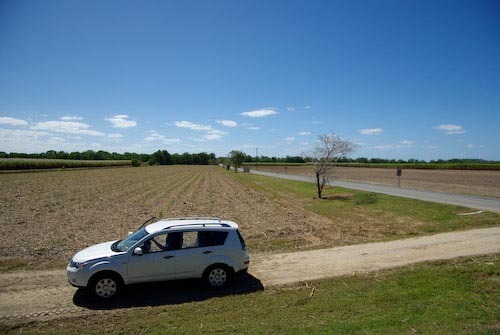 At the point where the centreline crosses the Captain Cook Highway [point 5 on map], a large stand of palms surrounding a day spa and numerous powerlines spoil the east horizon and make for a poor observing location. The following block of photos are all taken at Oak Beach. Venture a few km off the centreline [point 8 on map] and you will find open mostly unfenced agricultural fields. 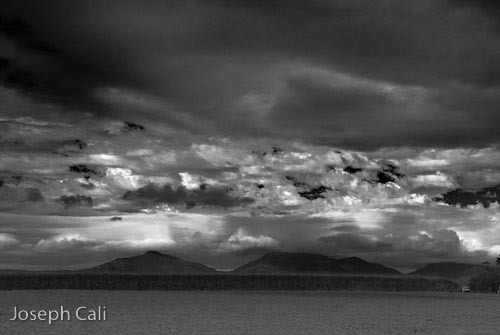 This area, though void of any grand scenery may provide good locations for observers looking for flat ground with almost flat horizons to the east and west at the sacrifice of ocean views. This will naturally depend on the growth state of crops in the fields at that time of year. Example of the open fields a few km north of the centreline. 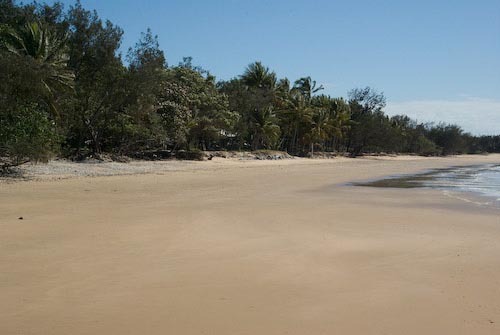 Between Oaks beach & Port Douglas, more open ground is available. 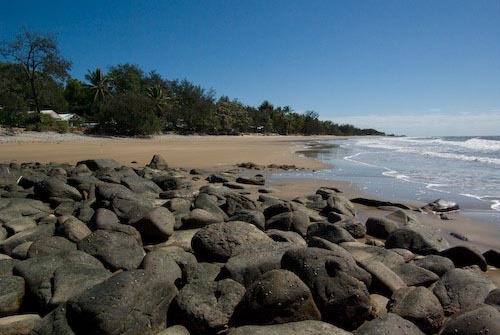 At Port Douglas, Four Mile beach faces east. The high tide comes well up the beach and palm & other trees obscure the western horizon.